Poudre Valley Rural Electric Association initiated into production on Jan. 29 the cooperative’s second community solar farm. 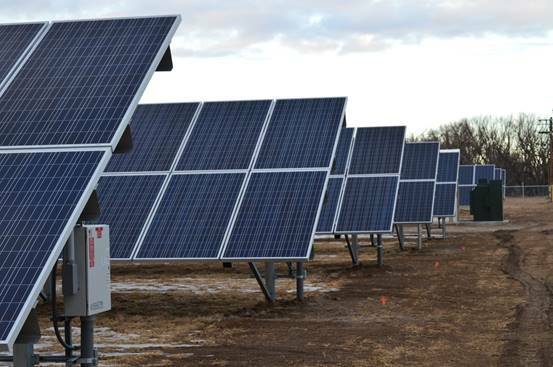 The 632 kW Community Solar Farm II, located north of Fort Collins, is generating power for members of PVREA who have purchased panels to offset their electric use. In a partnership with Clean Energy Collective, this project makes two community solar farms for PVREA. “We recognized the demand for another renewable energy option from our membership, and the overwhelming success and 100 percent sellout of the first solar farm provided us the incentive to establish our second community solar farm,” PVREA CEO Jeff Wadsworth commented. The cooperative’s first solar farm located at the co-op headquarters is 116 kW powered by 494 solar panels. The second solar farm is more than four times larger with more than 2,200 panels generating 632 kW. Members who are interested have the opportunity to purchase solar panels through Clean Energy Collective. The energy generated from their purchased panels is deducted from their monthly bill. According to Clean Energy Collective, the average residential member is estimated to see a bill credit of $5 per month per panel and will receive their return of investment in a little over 13 years. This solar farm adds to the cooperative’s growing renewable energy portfolio, which already includes the cooperative’s first solar farm project, over 160 net-metering applications, the Carter Lake Hydroelectric project and the Green Power Program.